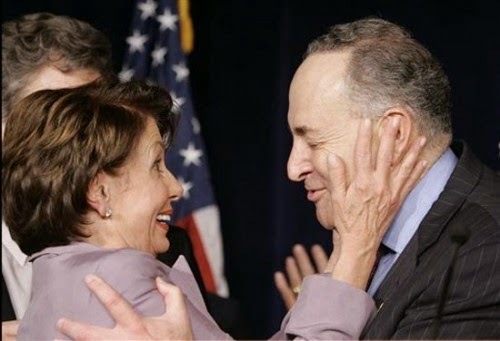 Schumer caused a stir last month when he said Democrats “blew the opportunity the American people gave them” in 2008 by focusing on healthcare out of the gate instead of on measures to boost the middle class. In an interview with The Washington Post published Monday, Pelosi noted that Schumer wrote the 1994 assault weapons ban that was blamed for Democratic losses that year. She hit Senate Democrats for distancing themselves from President Obama in the midterm elections, and the party ended up dealing with heavy losses. “Some senators even walked away from the president. That, I don’t get,” she said.